Just as you are gearing up for the biting temperatures of a typical Canadian winter, now is the time to make sure your furnace is ready to perform for the long winter season. 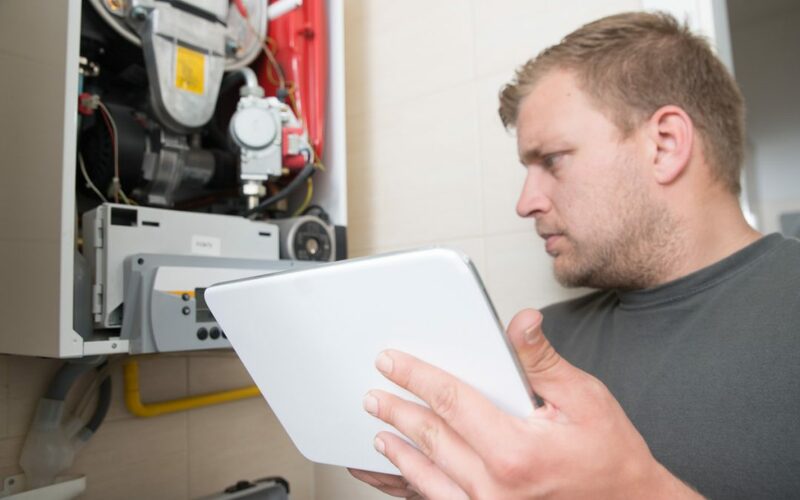 The key to furnace maintenance is staying ahead of the game, before a faulty furnace can begin to cost you extra money or jeopardize the safety of you and your family. A good furnace should heat your home in an efficient manner, without compromising the air quality for the people who live there. To avoid having to replace your furnace in the middle of January when it could present a real problem, there are a number of items to be checked, and warning signs to look out for, to prevent winter disaster. There are several signs to watch out for that can let you know in advance that your furnace is dying. One fairly reliable determining factor influencing when it is time to buy a new furnace is the age of your existing furnace. Furnaces these days are lasting an average of 15 to 20 years. If your furnace is in that age range, it is a good idea to start looking for a new one now. Waiting until your current furnace dies before looking for a new one can force you to rush, and maybe not find the best deal. If you have been noticing that your heating bills have been on the incline, it is likely due to decreased furnace efficiency. This happens over time, even more so without regular maintenance. Instead of paying extra for your heating bill each month, you could be putting it towards a new furnace. Just like with almost anything, the older it gets, the more repairs are required to keep it functional. Furnace repairs tend to increase considerably in the last two years of its life. If frequent fixes are needed, chances are that your furnace doesn’t have much time left. If you notice the air quality starting to decline in your home, then a malfunctioning furnace is likely the culprit. An old, defective furnace will not only circulate air in your home, but also dust, bacteria, and dirt. If a filter change does not solve the issue, then it may time for a new furnace unit. If people in your household are getting sick more often, it could be due to poor air quality. Damage to the heat exchanger in your furnace can even lead to the leak of carbon monoxide which is no good for anyone in your home. A normal pilot light should appear blue in color if your furnace is operating correctly. If the pilot is yellow, it may signify a ventilation problem or a carbon monoxide leak. Just the fact that your furnace has a pilot light indicates it’s probably more than 25 years old. If you hear banging, squeaking, or popping noises coming from your furnace it may mean it is due for repair or replacement. If your furnace has become generally louder, sounding like it is working harder, it may be on its last legs. Persistent smells of fuel around your furnace indicate a problem that should be addressed immediately. In the end it all comes down to efficiency. If your furnace is no longer doing the job it once did, it is probably time for a new one. For assistance purchasing a new furnace, or for effective and affordable repairs to your existing furnace, Air In Motion is a fantastic option. With a wealth of experience servicing customers all over Ontario, Air In Motion can offer expert advice and outstanding service for all your HVAC needs. Visit the Air In Motion website today with any questions or concerns.